Not gonna lie, I am a big fan of Davina McCall. There’s just something so personable about her. I am also a huge fan of Lakeland. You may already know that I used to live in Stratford, East London, and would walk through Westfield Stratford City on my way to and from the station every day. I could breeze past the fashion and beauty retailers no problem, but could never resist having a look round Lakeland a few times a week. So when two things you love come together, it’s almost inevitable that they become greater than the sum of their parts, as evidenced by the new Davina for Lakeland collection. The range is small but perfectly formed, from everyday essentials like the vegetable peeler to modern must-haves like the personal blender. Each product features a pop of bright colour to liven up your kitchen, and, most importantly of all, it’s all very competitively priced. Like, seriously, for £3.99 you’d never expect a paring knife to be this sharp and precise. I generally prefer massive knives, but this little hot pink blade has quickly become indispensable to me. The grater (£11.99) has changed my life, too. I put parmesan on pretty much everything, but would always end up wasting so much as it would get caught between the teeth of my crappy old box grater. With the Davina grater, though, parmesan comes out in light, fluffy clouds of cheesy goodness and this makes me very happy. Following the theme of replacing my existing ancient kitchen gear, it’s also ridiculously exciting to me to now own a pair of kitchen scissors (£3.99) that aren’t blunt AF. 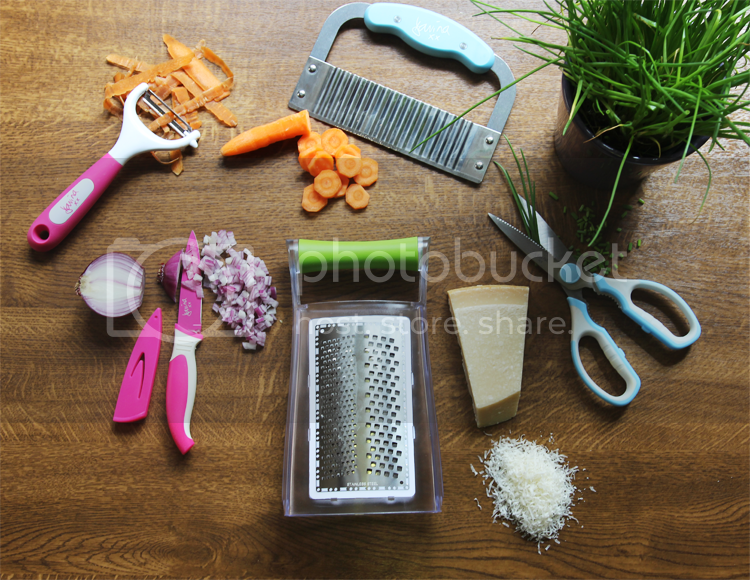 The crinkle cutter (£6.99) is less of a staple but a really cool thing to have for such a reasonable price – obviously best used for crinkle cut chips but also fun for something as basic as steamed carrots, just as a novelty. 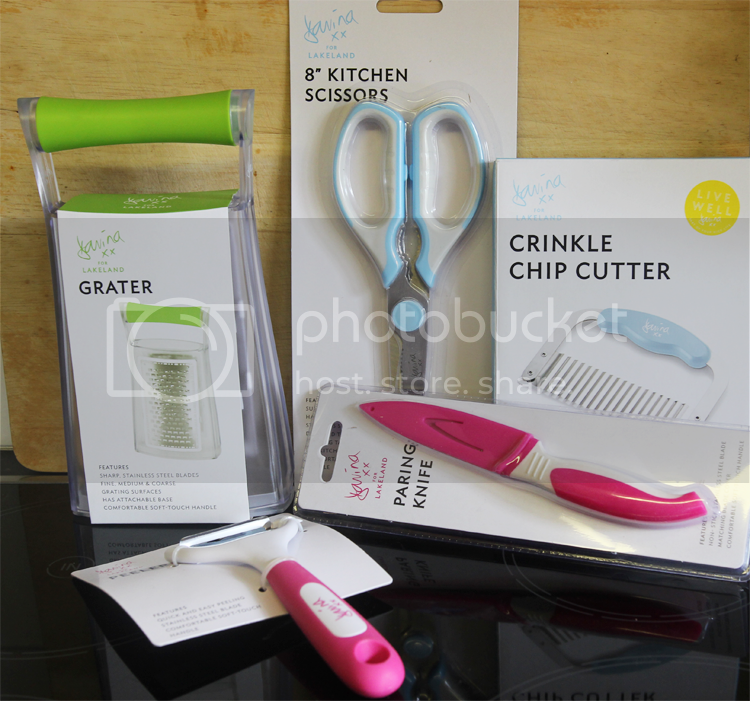 All in all, if any of your kitchen bits and pieces need replacing, or you just fancy some bright, fun little tools to add to your arsenal, you could do an awful lot worse than the Davina for Lakeland collection.